Frances looks like she stepped out of the pages of a fashion catalogue. I love everything about this photograph. 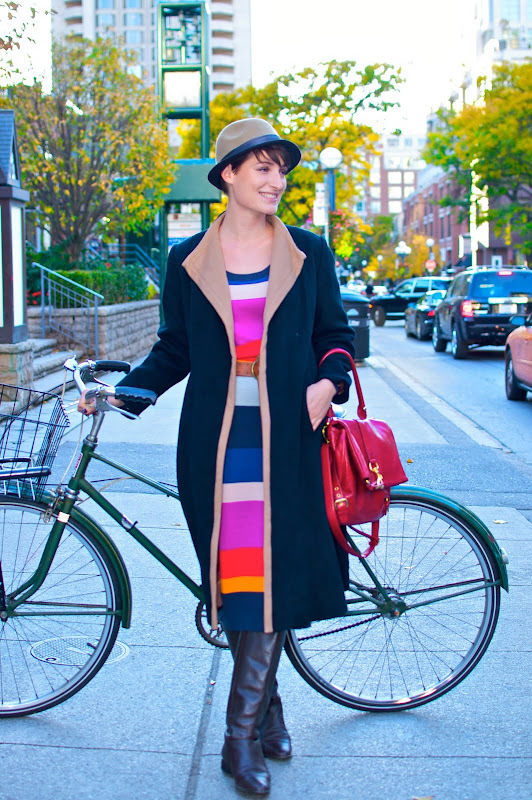 Her alluring ensemble, elegant smile and fetching bicycle are incredible. Sehr chic, sehr elegant, sehr schön!!!! infectious smile in the first pic.